Did you know that raising children with IKEA is very easy and convenient? The company offers a full and complete sets of furniture for children's rooms. Children's furniture includes cots, tables, chairs, seats, swivel chairs and even mirrors. 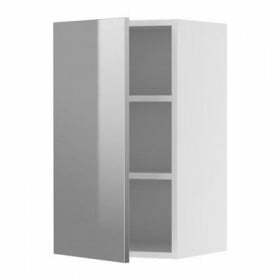 Recently, we have already talked about cribs for babies и Changing Tables IKEA. Now we would like to stay for cots for older kids who already know how to walk. Before proceeding to the choice of a baby cot directly pay attention to all kinds of related products presented in IKEA stores mattresses (polyurethane foam, latex, spring), mattress covers, bed sheets, pillows, blankets, carpets and curtains. All elements of the interior according to the rules of design should be in harmony and complement each other. And now, in fact, turn to yourself crib. I should say that in terms of functionality cots are almost indistinguishable. Therefore, choose the model of children's furniture will be given in the first place, its design. If you and your kids and extraordinary creativity included in the complex areas of your business, you do not want your house and children's room were similar to the other, are not afraid of bold designs, make your choice on models cots under the names Freestyle, MAMMUT и MINNEN. Freestyle Is a two-sided bed of dark blue color, made of solid pine covered with acrylic paint. It does not resemble any other model. KURA is two-sided, because the sleeper can be both top and bottom, depending on your preferences and the age of your child. 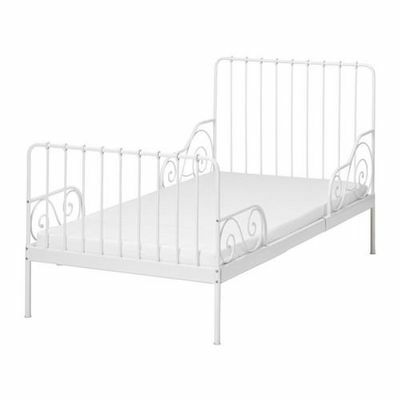 If you plan to place this model of a child's bed in such a way that the sleeping place is at the top, your child should be at least 6 years old. On the side of the bed is a staircase. If you love change, you can easily change the native side of the bed to the side of another color. The frame of the KURA child's bed can be used as a construction for a tent or canopy, turning it into an almost fabulous piece of furniture. 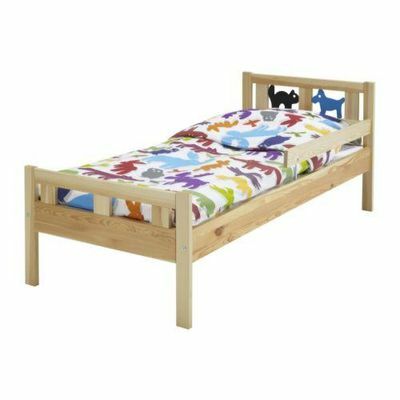 Cot CritterLike most children's bedroom furniture from IKEA has Slatted solid wood. The structure of the bed also includes elements from MDF and high-impact polystyrene. Critter is the perfect solution for a more adult and independent children as it has not closed edge. Original decoration in white, blue and pine color attract the eye of children and parents. The kids are delighted, seeing little animals in the headboard, the company with which you can quickly fall asleep to a fairy tale or a song my mother. MAMMUT - A successful design solution for a beautiful little princess or a brave prince. MAMMUT is made from MDF covered with acrylic paint, the legs are made of polypropylene. Bright pink and blue colors will complement and decorate the interior of any child's room. 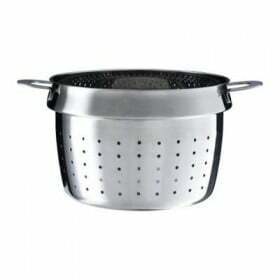 The cot is made with a high degree of precision and accuracy, all of its elements have rounded edges. Apart from all the models should consider sliding bed Trug. In addition to functionality, it is possible to note the advantage as the economy Finance parents. After all, this crib grows with your child. In accordance with the growth of your son or daughter can be adjusted and the length of the bed. 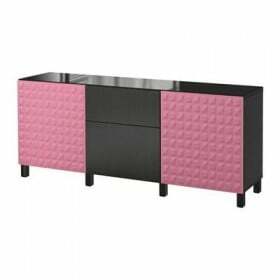 The supporting structure consists of solid pine, stained and coated with clear acrylic lacquer. 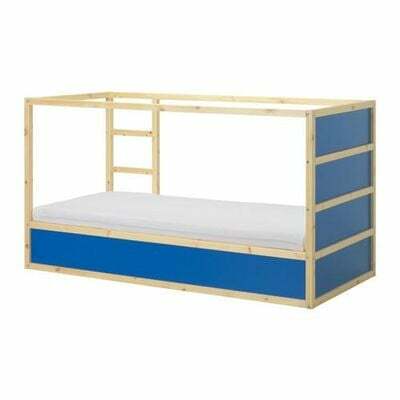 Model MINNEN is the only instance in his bed babe from IKEA, which is made of steel and has a pigmented powder coating based on epoxy or polyester resin. Slatted Crib is made of solid wood. By design MINNEN like a trug and regulated as the child grows. Steel has allowed designers to create IKEA something unusual, unique lodge, with marginalia of metal rods and bizarre twists and flowery pattern on the sides. This model is presented in white and black and brown. 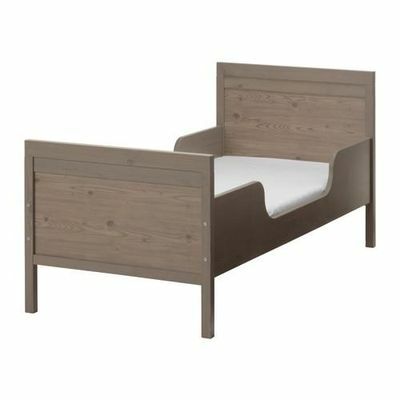 The above form the basis for cots unique furniture from IKEA. It would seem, than can still surprise us Swedish manufacturer? It turns out that the model cots for babies and cots for children older than duplicate each other! Below we describe the advantages of these "double" models. Beds SUNDVIK have Slatted. Both beds are available in three colors: gray, brown, black and brown and white. Advantage: mattress, bought for cots for babies, and is suitable for a large bed SUNDVIK. The main parts of their beds are made of pine and beech, stained and coated with clear acrylic lacquer. 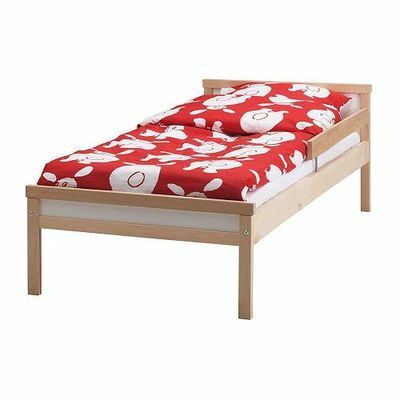 Size small cot SUNDVIK - 126 * 66 * 88 cm beds more - 168 * 75 * 66-80 see. 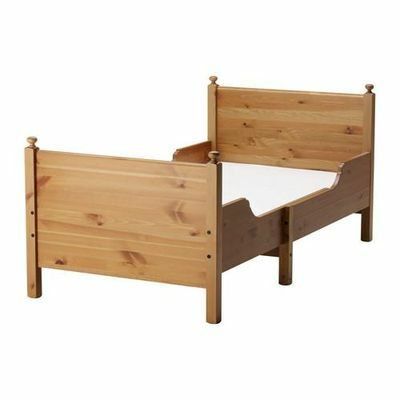 Cot for children from year SNIGLAR also equipped with a slatted bottom and has an additional design feature - a side 7 * 90sm. The rim is very easy to use, if the bed is not worth the wall. Solid beech, MDF and acrylic meet all environmental requirements and standards, therefore, are of no harm to the health of your child. Size cribs for babies is 124 * 66 * 80 see, the big bed - 165 * 77 * 36 see. The design involves SNIGLAR cribs self-assembly. LEKSVIK - Sturdy in quality and type of cribs. 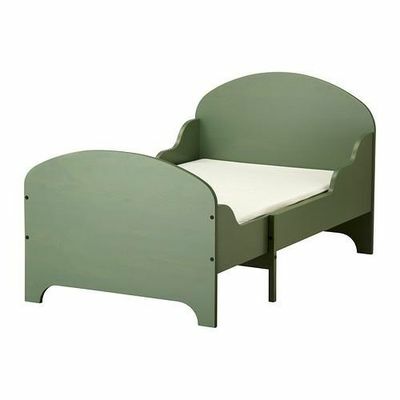 Bed for children from 1 year extendible respectively the growth of your child. Both beds are made of wood, but it is absolutely easy to care for. They should just periodically wipe with a cloth moistened with a mild detergent and wipe with a clean dry cloth. Light stains are removed with a sponge dipped in water. 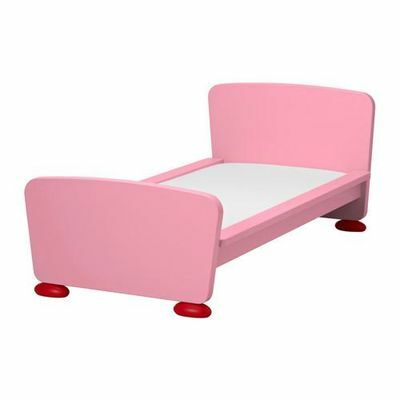 Size small cot: 123 * 66 * 83 see, for older kids - 138-208 * 90 see. And finally, the latest model review cots - GULLIVER (With additional large rim for cots). Both beds are made of solid birch and covered with clear acrylic lacquer. 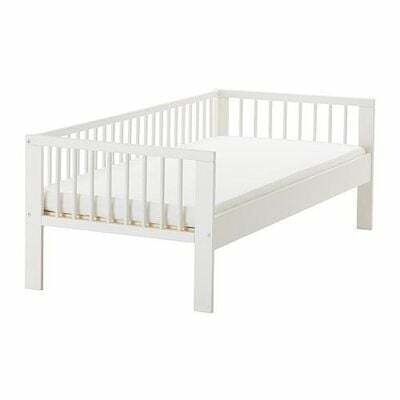 Dimensions cots for babies: 123 * 66 * 80 cm, bed-take - 165 * 76 * 57 see. 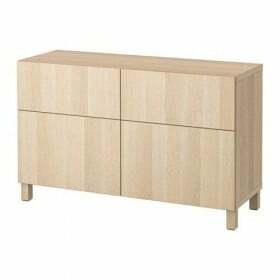 Taking into account all the above information, benefits, and specifications cots from IKEA, their diversity, there is a high likelihood that going to the store and seeing the beauty and possibilities of this furniture, one of the models you have to really like.